Are you looking what to do in Ubud, Indonesia? Here is the best things to do in Ubud. Such as the sacred monkey sanctuary, Bali swing and Pura tirta empul, including all the other best attractions in Ubud. This is one of the best places to visit in Bali. So what exactly is Ubud town? Located in the uplands of Bali, this town is a traveller’s paradise, but it is also an amazing honeymoon destination. 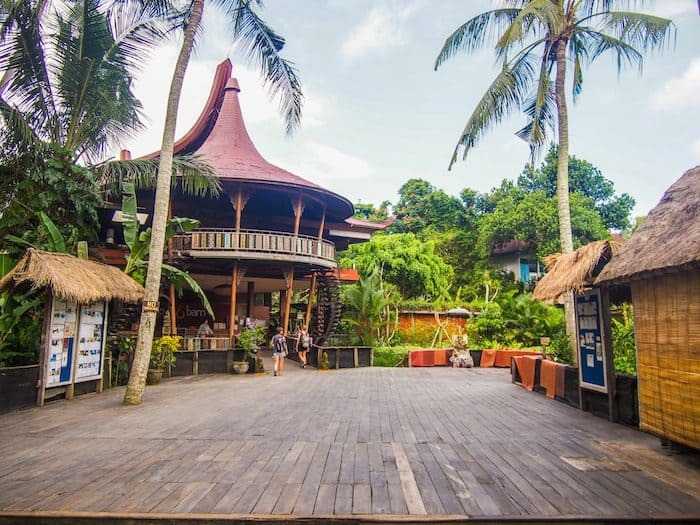 Unlike the crazy populated and busy atmosphere in tourist areas like Seminyak and Kuta, Ubud has a sweet atmosphere and the accommodation is amazing and cheap. 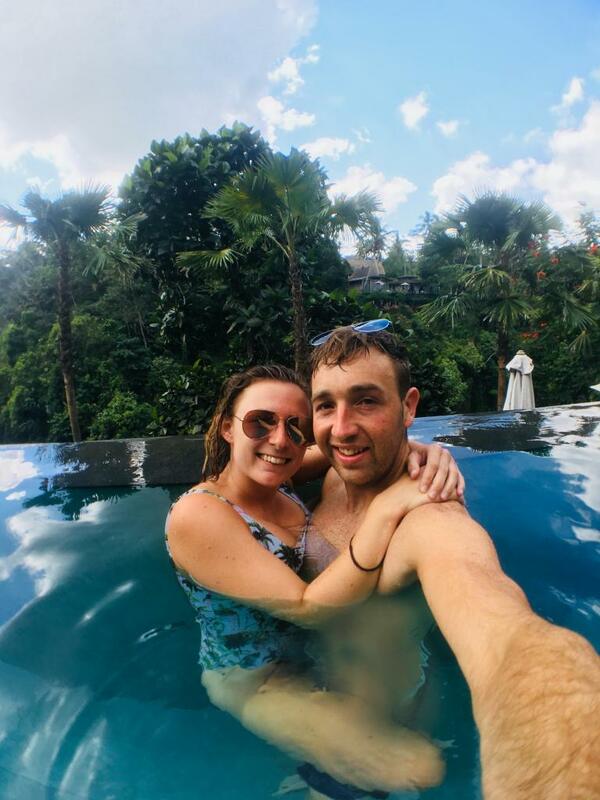 Also, there is amazing hotels like the Kamandalu hotel and we stayed for 2 week in Ubud city centre just because there is plenty of epic activities and things to do. 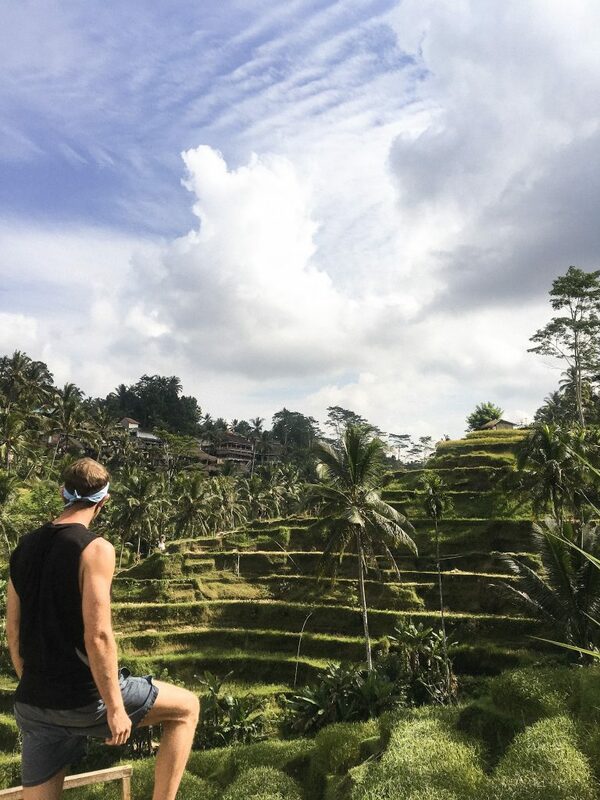 What is the best things to do in Ubud? 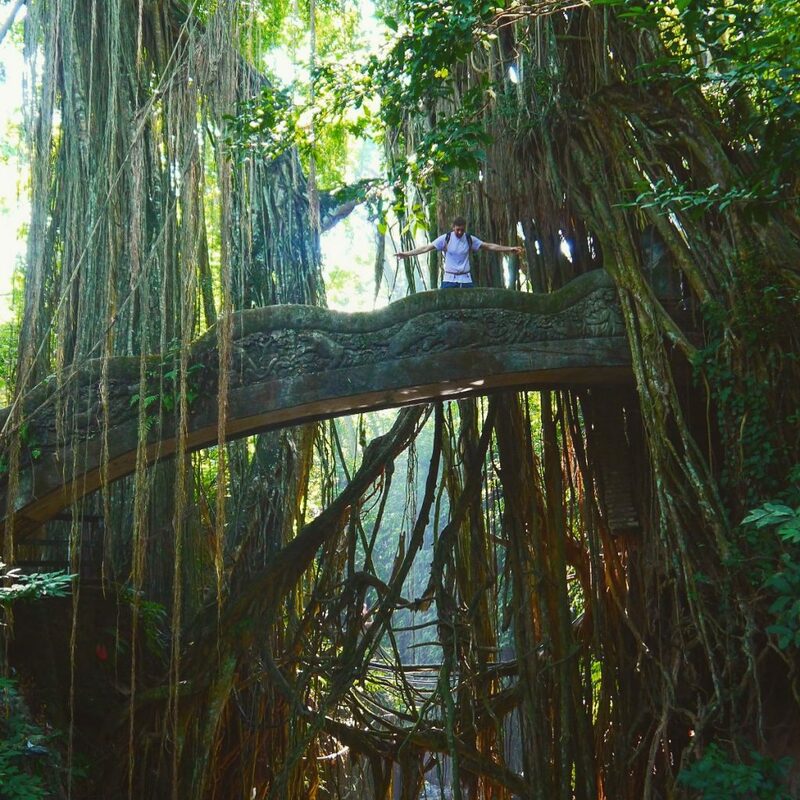 You can check out the awesome monkey sanctuary or the Ubud Bali swings. There is plenty to get stuck in and plenty of free things to do in Ubud town. Also, there is plenty of things to do at night in Ubud Bali. If you’re staying here, you will like the best things to do in Bali on your visit. What is Ubud famous for? 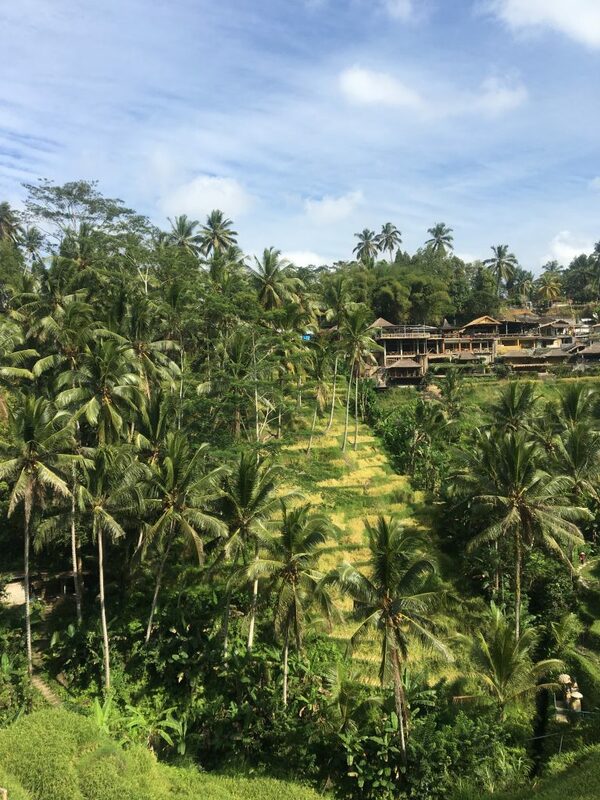 Ubud is famous for its amazing rice paddies, traditional dances, swings and traditional Balinese food. Looking what to do in Bali. 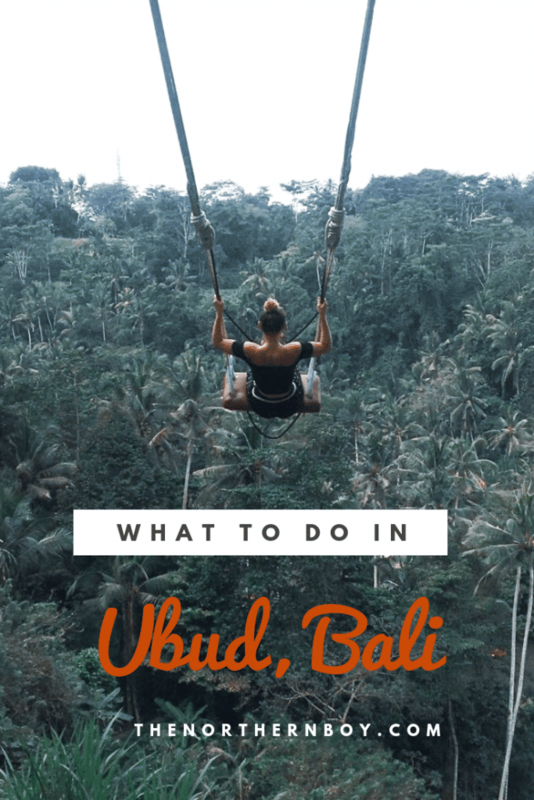 This is the ultimate guide for the best things to do in Ubud and where to stay in Ubud. There are plenty of ways to get around in Ubud town centre and don’t expect you will easily get public transportation in Ubud Bali. You won’t have to search very hard to find a taxi. They are literally calling out for passengers. The best way and my favourite way to get around is by scooter. You can rent a scooter in Ubud for ($3) a day. And you can fill the gas up at a petrol station for ($1). Hiring a scooter is always fun. But just take your time and be careful. Traffic can be pretty crazy at times. If you on a holiday or honeymoon to Ubud Bali, you may prefer to hire a car. Although this not my best choice, it maybe your preferred option. If you want a car, I suggest hiring a driver. You can hire a driver in Ubud for ($30) a day. The driver will take you to all the best places to visit in Ubud to see. They will also take you to the best local restaurants in Ubud. They will know the best places to take you. 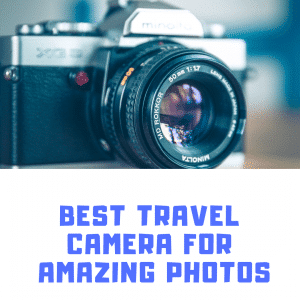 A great option if you are not on a travel budget. One of the things that makes this village unique than other places in Bali is the bohemian vibe it has which is attractive and comforting. The fine dine restaurants in Ubud are not just delicious but also healthy serving vegetarian and vegan dishes. The variety of Ubud sightseeing are endless ranging from attending a Balinese dance performance to visiting the beautiful Royal Palace in the center of the town. If you are looking what to do in Bali look no further. I have created a list of all the best things to do on your visit to this epic place in Bali. There is something in this quirky place for all types of visitors. If you like yoga, you can check out the amazing yoga barn. 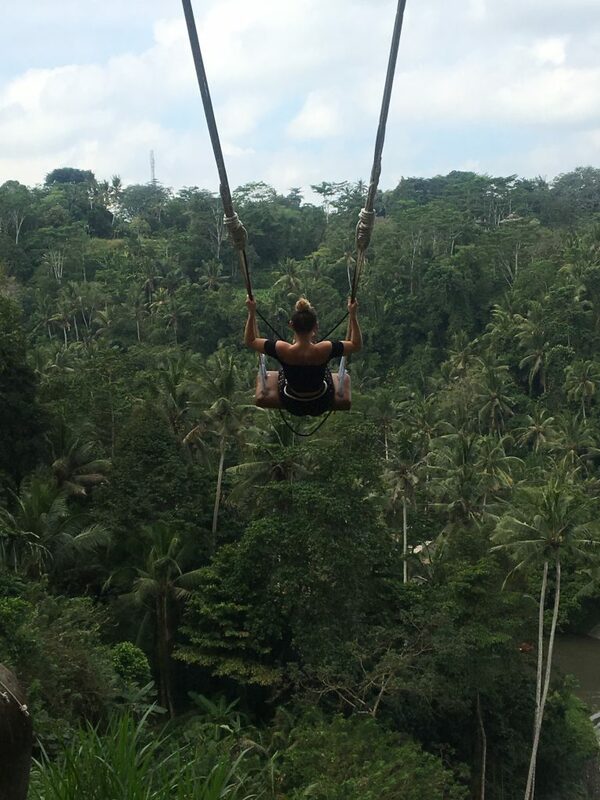 Or if you want the best Instagram photo in Bali, you can check out the amazing Bali swings. Looking where to eat in Ubud? You will be pleased to know the food is amazing. Whether its meat you love, or you are a vegetarian. There are plenty of restaurants for all taste-buds. The Sacred Monkey Forest Ubud of Padangtegal is one of the most popular things to see in Ubud. The natural forest was previously a temple dating back to the 14th century. Looked after by a community-based management program, the forest is home to a flock of grey long-tailed monkeys. Locals believe that these macaques are sacred animals that guard the temple. Other than watching these monkeys swing from branch to branch, you can also take a walk down the pathways in the forest’s cool environment while feeding the primates bananas. However, make sure you take care of your belongings because these monkeys like playing pranks on the visitors. 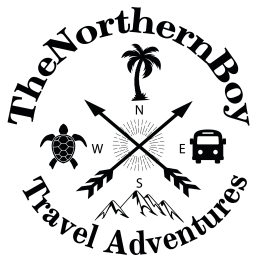 This is a top Ubud activity for families. How to get to the monkey forest? We walked it from the Ubud town centre to the monkey forest, it took us about 20 minutes with a brisk walk and we got breakfast in the town centre on the way. The monkey forest is near the Bali swing and Ubud ridgewalk, so you can visit this Ubud sightseeing attraction on the same day. If you want to enjoy the amazing scenery, you are bound to walk down the Campuhan Ridge Walk – the place you can resort to if you want to escape a sometimes busy area. The hilly area gives a beautiful view of the valley and its rice paddies. The view is best during sunrises and sunsets. One of the sweetest free things to do in Ubud. Try closing your eyes and taking in the cool breeze that hits your face, and it’s the best refreshment you can get. 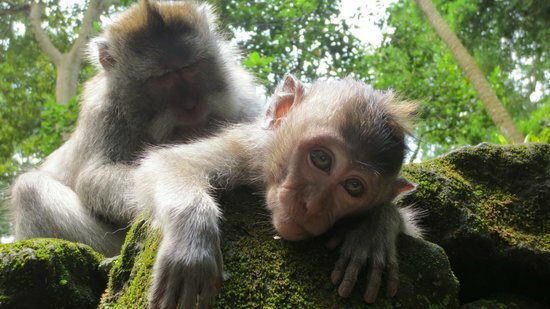 The ridge walk is near the monkey forest so you should visit both of the Ubud tourist attractions. This is a free activity and all you need is some water and a camera to enjoy this awesome hike in Ubud. This is one of the must do things on the list of things to do in Bali. Located in the center of the town the Palace is the Ubud Royal Palace. The antique building dates back to the 18th century when the King Ida Tjokorda Putu Kandel built it. The palace is home to Balinese ornate architecture that you can admire as you take a walk inside the palace. Even though the Ubud Royal Family still resides in various sections of the palace, the historical building is open for tourists to visit. Guess what, since the Palace is located in the Ubud centre, the art market and other commercial areas are easily accessible from there. Simples. Bali’s Ubud is known for its traditional dance. That’s why, Kecak fire Dance is a must to include in the list of top activities to do in Ubud. Kecak Dance is a classical monkey dance performed by dancers from the Pekraman Taman Kaja. The traditional dance dates back to 1930s. It is held in the courtyard of Pura Dalem Temple, the audience seated on either side of the temple. There are 100 men who perform without any musical instrument except for their chanting and singing. Their performance is based on the epic from Ramayana that they recreate in front of their audiences. If you looking for what to do in Ubud that’s a little different and unique. Check out the Kecak performance dance. The Kecak performance is held on Mondays and Wednesdays at 7 pm in the temple of Junjugan Village on Jalan Titra Tawar. Unlike commercial performances that are crowded, these are relatively more fun to attend. The cost of the Kecak Performance is 75,000 IDR. 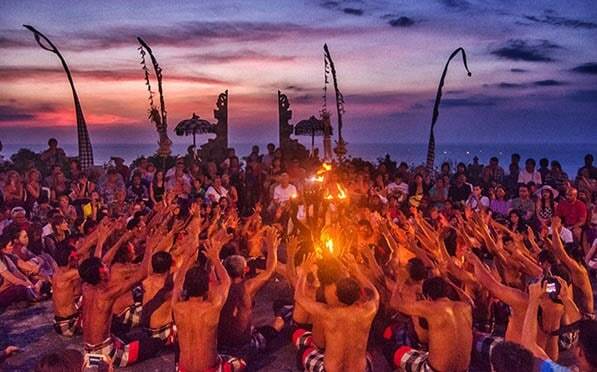 If you’re looking for Bali blogs, a lot of them will mention the Kecak dance. 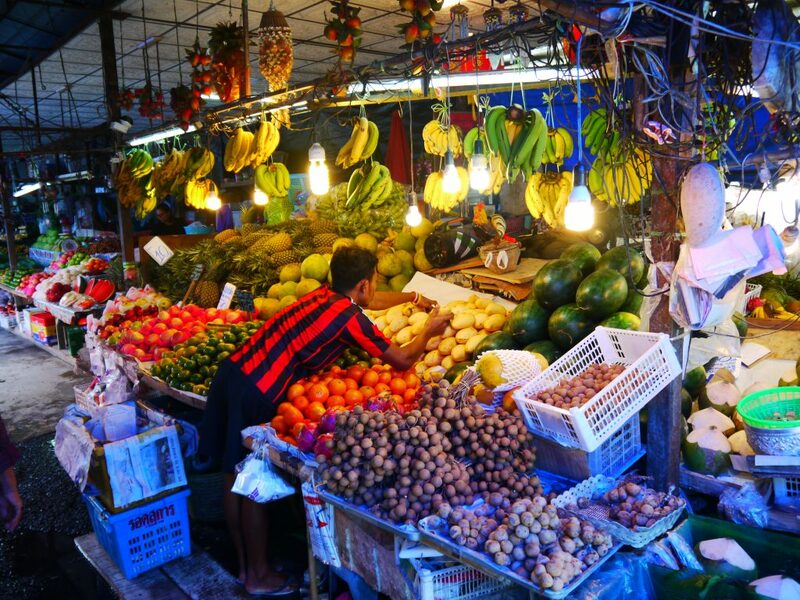 A 10-kilometer ride from Ubud is the Gianyar Ubud Night Market, a place best suited for hungry and curious travelers. The market looks and feels more interesting after sunsets when the lamps on each vendor stall light up making the market look like a feast from a movie. This is one of the best markets to explore in Ubud if not the best. At the Gianyar Night Market, you would be able to reach the level of satiation when it comes to hunger and tasting new dishes. Traditional dishes like babi guling, jaje Bali, palm sugar-filled klepon and various other items of food are served on banana wraps here. Meals at the Gianyar Night Market start from 25,000 IDR, going down to even 5,000 IDR. 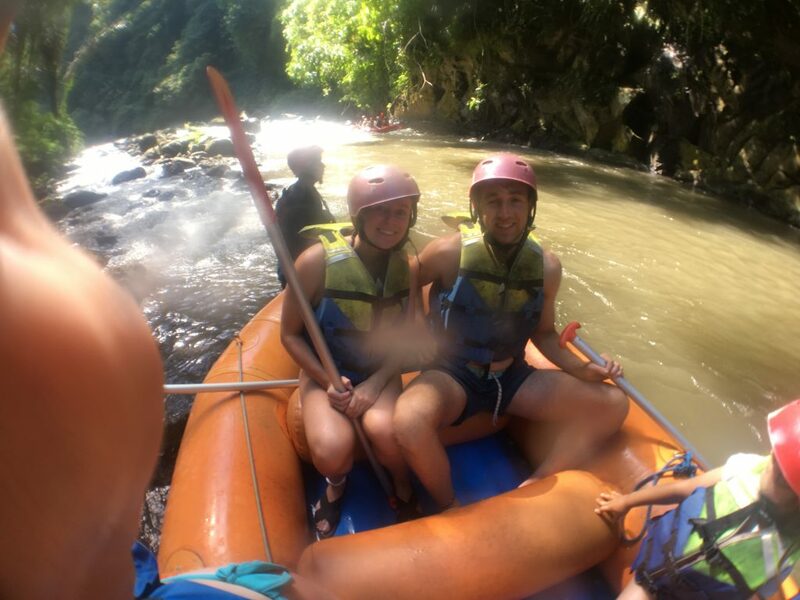 Cheap, so this is another awesome thing to do in Ubud, Bali. Apart from food, the market also sells toys, jewelry, DVDs, Balinese Hindu ritual items like flowers and canang offerings. We have mentioned before about the stunning greenery the Bali sights possesses and the Bali Botanic Garden is a proof to that statement. The Indonesia botanic gardens are built amazingly and you will appreciate the work that has gone into these. If you’re looking for places to go in Bali that is a little different from markets and yoga barns, the this is it. You may have to travel a little to get here, but it’s completely worth it. Right from the moment you start your journey to the utterly breathtaking Tegenungan Waterfall Bali, all you encounter is the beauty. On the way to the famous Waterfall, you can enjoy the breathtaking view of the rice paddies on either side of the road. Upon reaching your destination, you come across various shops and the famous restaurant, Bebek Tamarind which serves finger licking Balinese style crispy fried duck. This is another on the Bali blog itinerary. Following the meal, you can go down towards the waterfall which is a scenic and dream-like view in itself, from the green canopy flows a stream of fresh water and you can take a relaxing dip into the water and reminisce the serenity of the scene, storing the experience in your heart forever. There are plenty of top waterfalls in Bali and this is one of them. 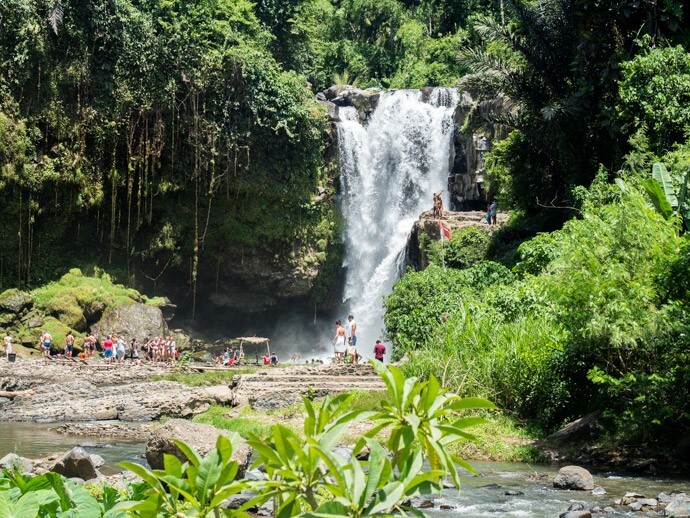 You can also travel north of Bali to the Gitigit waterfall for some epic photos and fun. 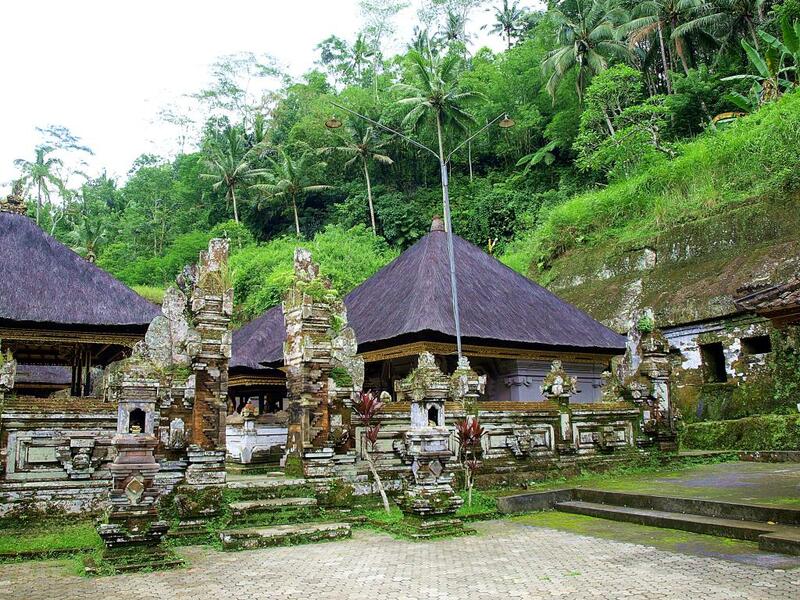 A historical site, must visit for all history lovers, deserves to be on our Ubud highlights itinerary. The Goa Gajah Bali or the Elephant Cave is located six kilometers out of central Ubud. The cool weather in Ubud makes the trip even more enchanting than it already is. 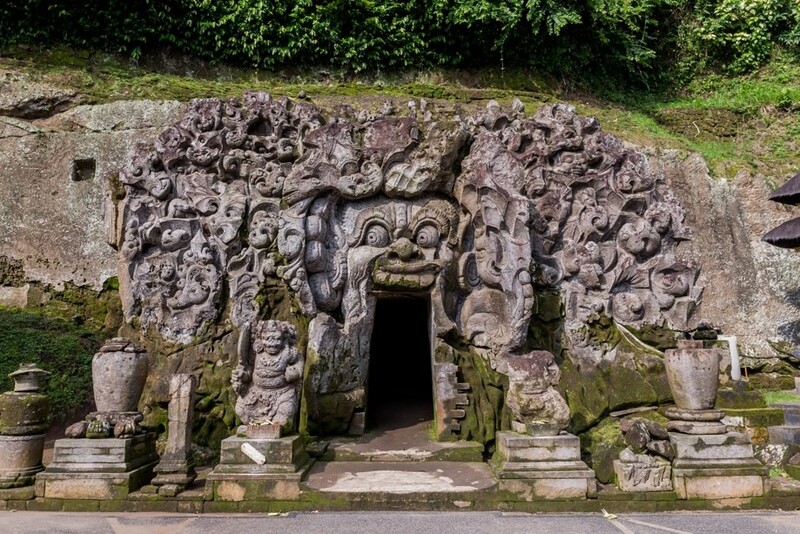 In the 11th century, the Goa Gajah was built as a spiritual place for meditation, the Cave has a relic-filled courtyard, bathing pools and fountains, rock-wall carvings and a central meditation cave. The cave has various Hindu as well as Buddhist structures and indentations which indicates where meditating priests centuries ago sat. The location of Goa Gajah too is strategic as it is built on a hillside where two streams meet forming a river junction which is considered sacred by locals. Visitors to Ubud enjoy coming here to check out the sweet architectural stone and take some great photos of this top temple in Ubud. 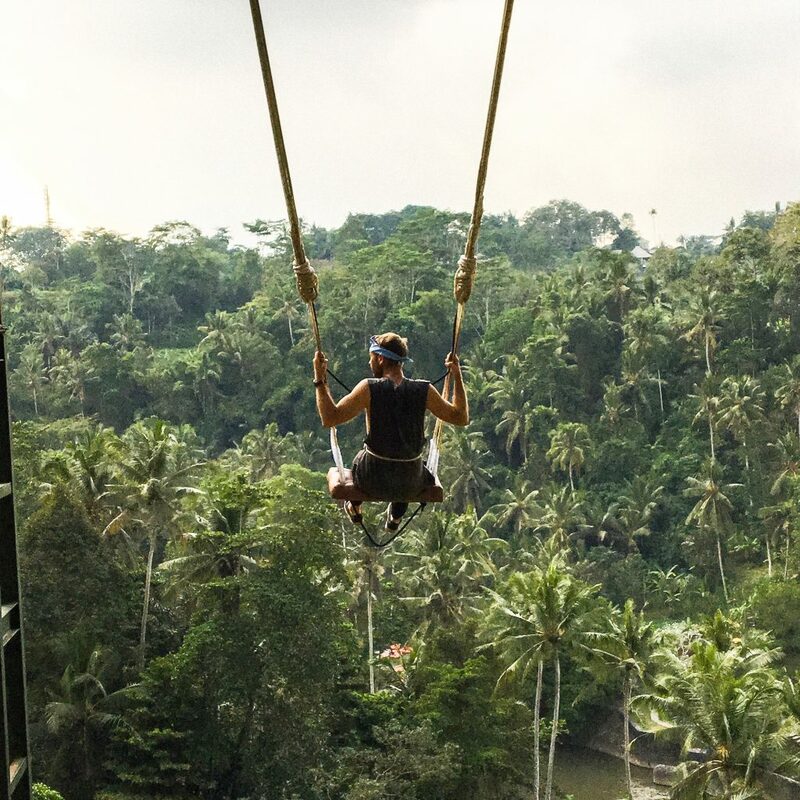 If you’re visiting Ubud and you don’t experience the Bali swing, then there’s a lot o self-pity you should be indulging yourself into. We saw many things that are awesome. However, the Bali swings would fasten your heartbeat and give you the perfect kick you need! This is a top tourist attraction so expect plenty of visitors. There is lots of epic swing in Bali to see. I would try and get around what you can to see most of them. Each swing in Bali offers an amazing view. A typical question is are the Bali swings safe and secure? The answer is yes, they’re totally safe. You can find the swing in a village called Bongkasa, the ideal place for you to soar high finding the dense jungle, palm trees and the Ayung river beneath you. The swing is your best Ubud point of interest. What’s even better is the combination of the beautiful weather in Ubud and the swing that make the experience unforgettable. Like several other things, this town is also famous for its yoga retreats. 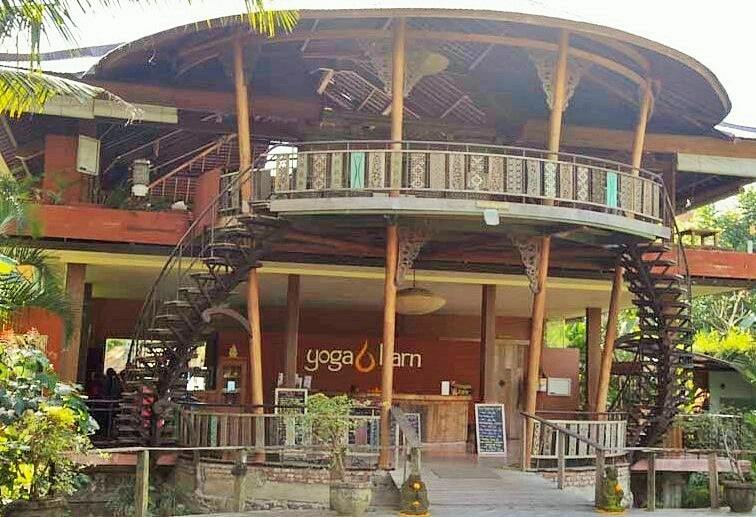 Among the several yoga studios it has, the most loved one is the Yoga Barn in Ubud. The place is open for everyone who wants to give a shot to yoga once in their lives, even people who know nothing about it can come and attend the classes and several people who did take the class claim the experience to be refreshing not only for themselves physically but also spiritually. The place is a getaway from all your worldly problems and tensions. What are the best Yoga houses in Ubud? If you’re looking for something adventurous in Ubud, then this one should be on top of your list of the Ubud activities. 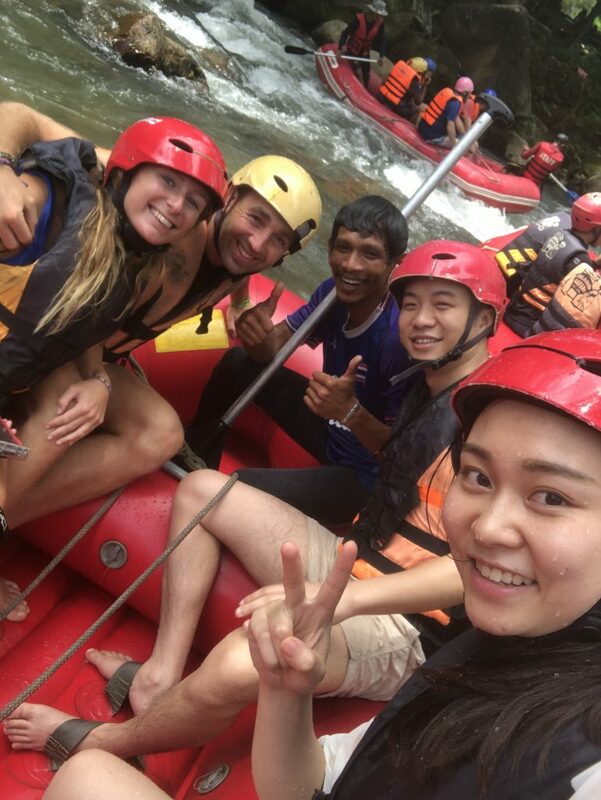 White Water Rafting is one of the most famous outdoor activities in the city. In Ubud, the sport is done on the white waters of the Agung River. You are picked up from your hotel in the morning and taken to a class where are briefed the do’s and don’ts of rafting. Other important basics are taught, and the adventure starts at 10 am, ending at noon. The experience is exhilarating and results in an adrenaline rush in your body. 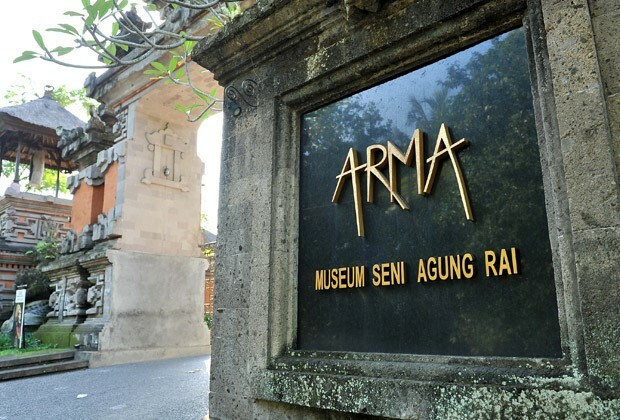 If you are interested in learning about new religions and cultures, then Agung Rai Museum of Art (ARMA) is your go-to place. 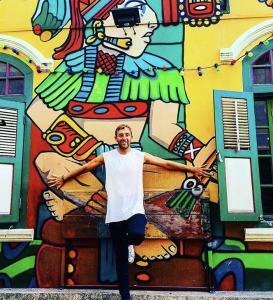 The place is an encyclopedia about Balinese traditions and cultural aspects. ARMA is surrounded by tropical gardens and features notable and praise-worthy work of Indonesian artists like Affandi and Raden Saleh. ARMA is not just an art gallery but shares information about traditional Balinese orchestras, Balinese history and dance, wood carvings, conventional cuisines, and native fabrics. The visitors are usually accompanied by guides. Moreover, in the afternoon after viewing the art collections, visitors can have snacks in the local café or enjoy a traditional Balinese dance performance. 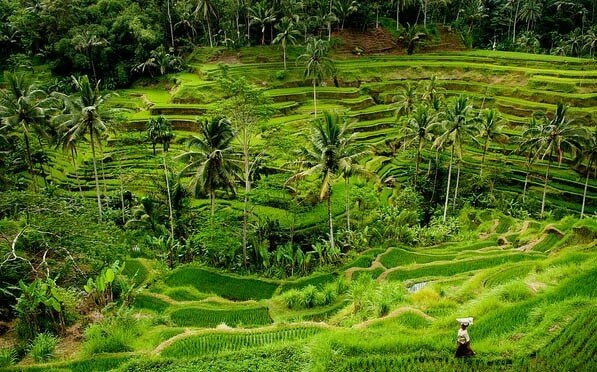 Another important tourist attraction in Bali is the Tegallalang Rice Terraces in Ubud. Rice paddies are very commonly found in the Ubud town, even if you take a walk down the streets of the town you will enjoy their view. However, this activity here is overlooking the rice terraces from Mount Batur. Along with walking, you can also learn how to plant and harvest rice here. 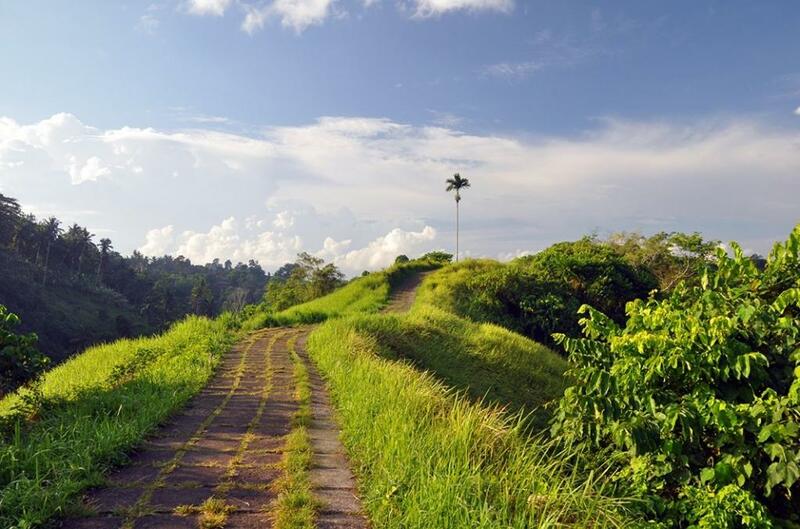 A trip to the Tegallalang Terraces is considered to be the highlight of their vacations to Ubud by several tourists. Tip: For all the photographers, the Tegallalang Terraces have the most picturesque views that you ought to capture through a lens. Also, for best photos visit early in the morning or late in the afternoons. The Tirta Empul temple is a Hindu Balinese water temple located near the town of Tampaksiring, Bali. This is the place where the Ubud dance is held at on this list of the top 18 things to do. 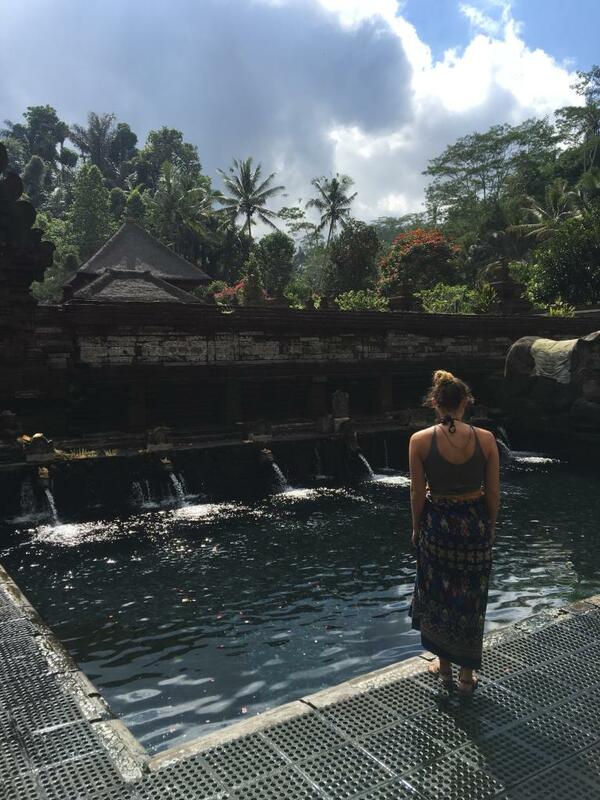 One of the cool things at the Pura Tirta Empul is that you can actually get in the water and get blessed here. You have to take a ‘sarong’ though or won’t be allowed into the water for the blessing. Also know as the water temple this is a really sacred places to the locals. What are the Pura Tirta water fountain meanings? Each one has a different meaning and a different blessing. You’re supposed to them in chronologoval order, so starting at the left side and working your way up through the numbers to be blessed. Pura Gunung Kawi is an archeological area in Bali. Back in time the local balinese people used to constrcut houses out of rocks, crazy right? This is because they didn’t have the tool or knowledge in how to correctly build houses. You can come and see how these houses was crafted in some of the most amazing settings. This is a top highlight in Ubud! What is the Pura Gunung Kawi entrance fee? The price for the Ancient Bali is 15000 IDR per person. Totally worth it! The tibumana waterfall is one of the best waterfalls in Ubud to visit. The crowds show it swell. My best advice, get here before 9am if you want a good photo here! There is tours to the waterfalls. But we made our own way here by scooter. It doesn’t take long to get to the tibumana waterfall. The Jungle Fish Bali is one of the sweetest Instagram locations in Bali. What is the jungle fish in Ubud? 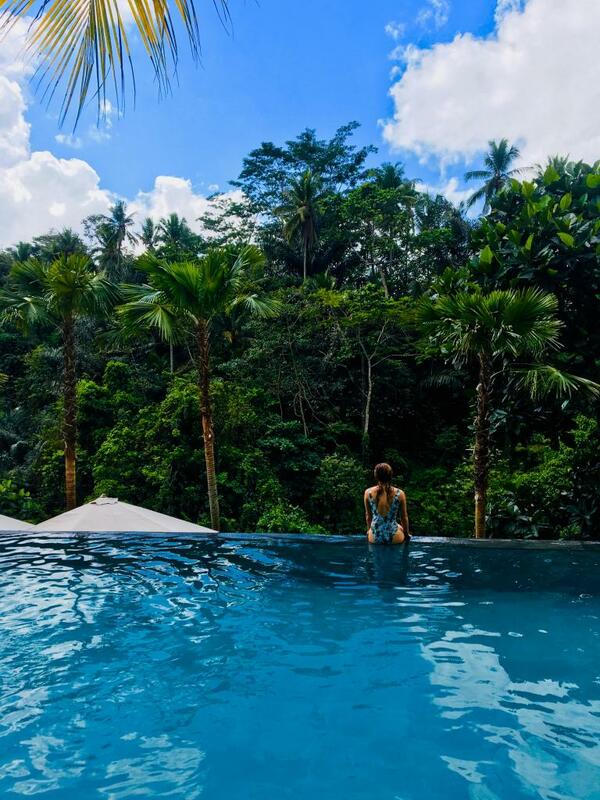 This is a stunning jungle setting hotel in Ubud, however you can visit here on a day pass and enjoy the amazing infinity pool, delicious food and epic scenery. How to visit this top hotel? A day pass at the Jungle Fish is just to enjoy the pool, reserve a sun lounger or a hanging bed then the price starts at IDR 100,000 (USD 7.50) per person. This doesn’t include food. A night at the the jungle fish will cost around 6,035,729.00 IDR (USD 424.55). Not cheap I know, but it is an amazing place. One for the honeymoon destination. The Ubud food festival is one of the top things to see in Ubud for food lovers. This is one of the most popular culinary festivals in Indonesia and in 2019 the food festival in Ubud will be held on (April 26-28th). Things to do at Night in Ubud? What can you do in Ubud at Night? The bars fill up with tourists and there is people walking the streets looking what to do in Ubud at night. My recommendation is go for a meal at one of the local restaurants. Then, go and have a few drinks in a local bar. Why go to one of the local bars? This is the best way to meet other travellers, getting chatting to locals and save money for your travelling. You will get to learn about the history of Ubud and also find out what to do in Ubud from a local’s perspective. On one of our nights out in Ubud, we did the yoga barn. Then went for a meal and a few drinks. Check out this list of what to do at night in Ubud. Is Ubud safe at night for walking around? Ubud is a safe place for travellers and backpackers. You will be safe if you walk around Ubud alone at night and in the day. Certain areas in Ubud are not well-lit at night, therefore you may want to walk around with a fellow traveller. Also, the suburban areas of Ubud are safe, we drove out on our scooters for miles and all the locals was very friendly. There is plenty of great accommodation in Ubud. You can find luxury and cheap places to stay in Ubud. The hotels and home stays in Ubud cater to all types of visits. The town centre is a perfect place for backpackers and honeymoon holidays. The accommodation in this amazing place offers epic budget rooms and some amazing luxurious hotels for those of you wanting to experience a more luxurious stay in Ubud. We stayed in a few places around this amazing place in Bali. I’m going to share with you some of the best places to stay in Ubud. The Kamandalu hotel is a perfect chance for a Balinese experience with all the comforts of a 5 Star resort. Kamandalu has an amazing deluxe pool villa for its privacy and amenities. There is very friendly resort staff throughout your stay. There is a mega spa at this top hotel. The Kamandalu is truly an enchanted Balinese village waiting to satisfy you with a perfect experience. Obviously this is a luxury hotel so if you are on a budget, this one is not for you. This homestay hotel in Ubud is in perfect location and it’s within walking distance with all the must see attractions. This homestay offers very clean and comfortable rooms. These come with hot showers, free tea and coffee all day long. There is also free breakfast included with this homestay in Ubud. The service here is also amazing and you will feel very welcomed on your stay. Also, the Wifi is very good here, always a tip essential. This is another great cheap place to stay in Ubud. It’s a budget homestay that offers amazing service, clean rooms and free tea/coffee. There is a good view of this homestay and you can even get a view of the flowing river that runs by it. You will be treated very well at this budget accommodation and this is definitely a top place for backpackers to stay. If you are looking for a more luxurious place to stay in Ubud, then this is definitely it. This is a classic Balinese hotel that is in perfect walking distance to most of the main attractions, as it’s located in a great spot between the monkey forest and the town centre. The rooms at this top hotel in Ubud are large and very clean. You will receive a great Buffet breakfast and plenty of tasty fruit to set you up for a great day out. The Maya Ubud is a sweet luxury resort located in the central of Bali, between the river valley and rice terraces. The rooms and villas here are amazing and you will get some quality comfort. An ideal choice for those looking for luxurious facilities, peace and tranquility in beautiful surroundings. If you are on a luxury break or a honeymoon holiday, then his luxury hotel in Ubud is for you. Ubud in Bali is one of the best places to visit in Bali. We spent 2 week there just because of how it sweet it is and how many things to do there are. 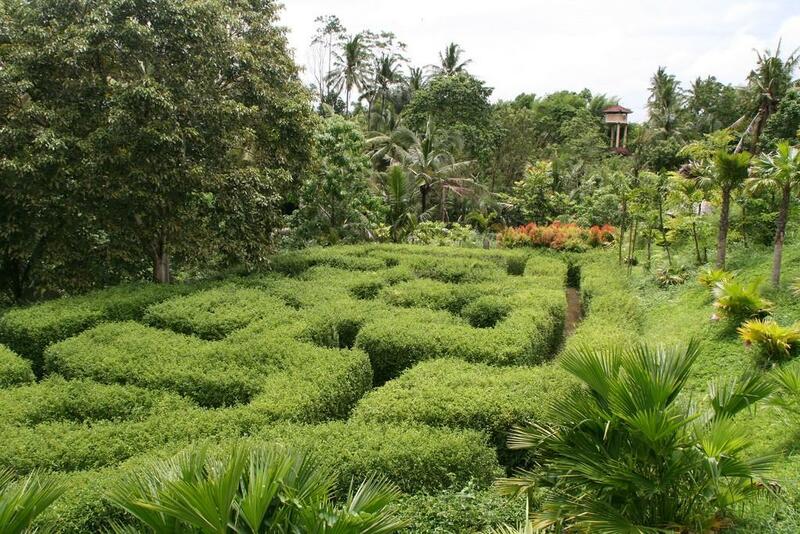 If you are wondering what to do in Ubud to fill your time. Do there is things like visiting museums, having delicious meals in restaurants, visiting temples, taking yoga classes and indulging yourself in other creative activities the city offers. 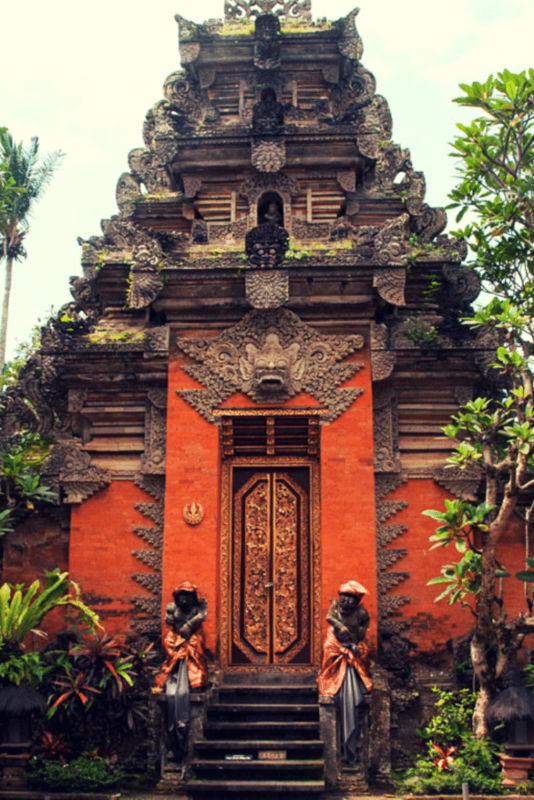 The city is rightfully called the cultural capital of Bali as it gives a detailed look inside the centuries-old customs, cultures, and traditions of Bali. Not only that, the land is diverse in a way that it represents the history of various religions like Buddhism and Hinduism. This again proves that the land of Ubud is surely distinct and sacred. Also, it’s a traveller’s paradise!